Lets start with the greater one-horned rhino, also known as the Indian rhinoceros. These guys, like their name suggests, only have one horn that grows about 8 to 24 inches long. This is one of the largest rhino species, and also the most aquatic. That’s right, these guys love to hang out in the water, often completely submerging themselves to snack on aquatic plants. These guys have come close to the brink of extinction, and while they are still critically endangered their numbers have come up from only 600 individuals in the 70’s. 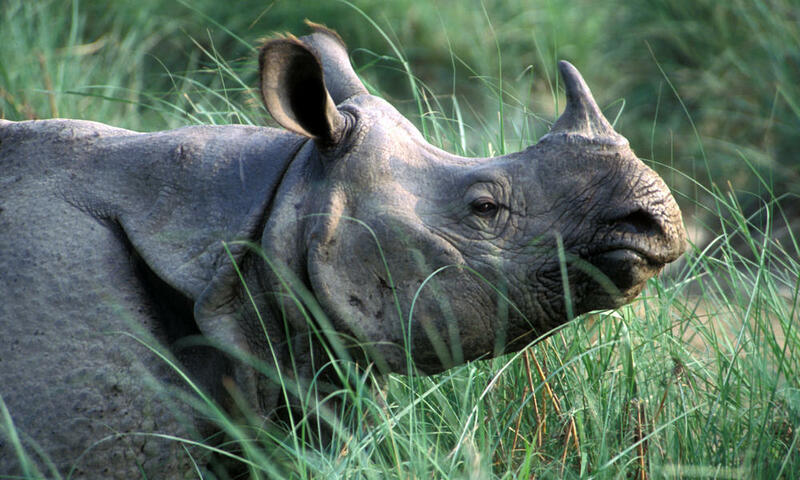 There are now over 3,000 Indian rhinos, but they are no where near out of the woods yet. Conservation and ending the illegal horn trade could still be the make or break action that either saves or ends the Indian rhino population. Next lets hop on over to Africa to visit the white rhino. The white rhino is the second largest land mammal weighing in at up to 8,000 pounds and standing 5-6 feet tall! 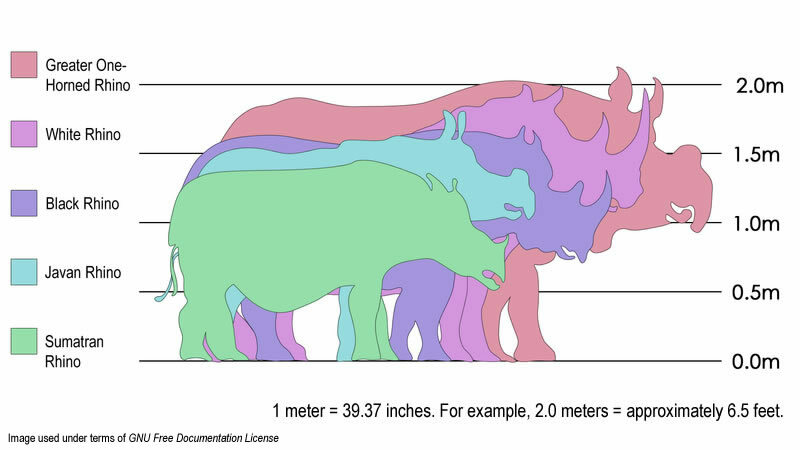 These are the very iconic African rhino species and their horns can grow quite long. 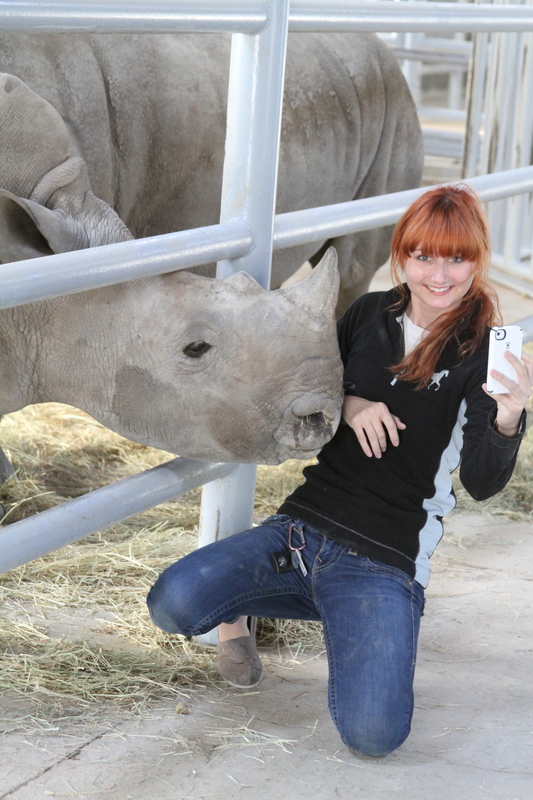 I actually had the pleasure of meeting a few white rhinos at a conservation breeding center in Texas. I met daddy Big Tex and a mother and baby. Their population is around 20,000 and they are the only not endangered species of rhino, but that doesn’t mean they don’t need protecting. They are still in a precarious balance and are very important to the ecosystem. The black rhino, also known as the prehensile or hook-lipped rhinoceros lives in the African savannahs. There were four subspecies of the black rhino, one of which was declared extinct in 2011. Including all of the subspecies there are only about 5,000 rhinos left in Africa. These are the most commonly hunted rhinos for fun and for ‘medicinal’ properties. Which is nonsense, as you should well know. The black rhino has a prehensile lip to grasp grass, and two horns (neither of which will cure your flaccid you-know-what). Last but not least, the Sumatran rhino. 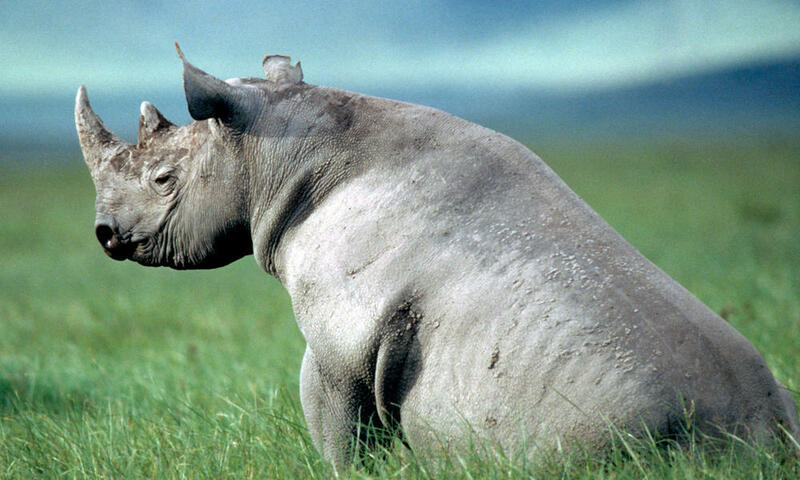 These are the most unique of the rhinos, they are quite short, only standing about 3.5 feet tall. They are also more closely related to the extinct wooly rhino than any rhino species alive today. They, like the aptly name wooly rhino, have a lot of wiry hairs, especially when they are young and fluffy. 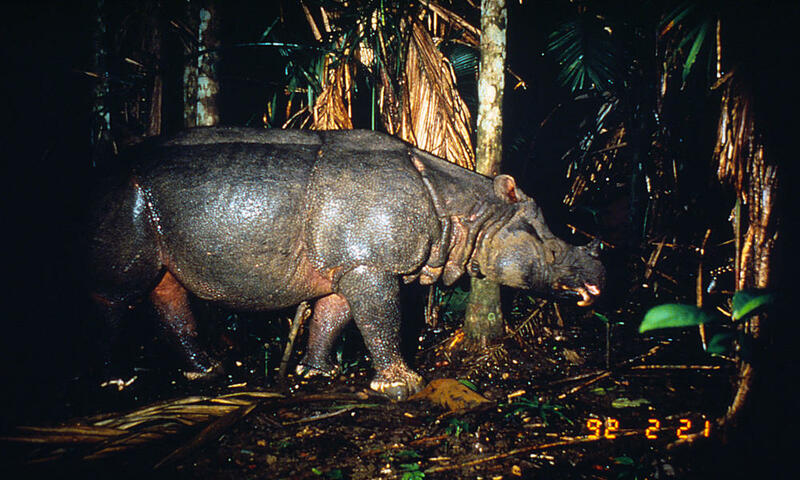 While there are more wild Sumatran rhinos than Javan rhinos, the Sumatran are more at risk for being killed by poachers. In fact, I can not find a number on their population to give you. These rhinos face many of the same threats as the orangutans in Sumatra and Borneo, since they inhabit the same forests. 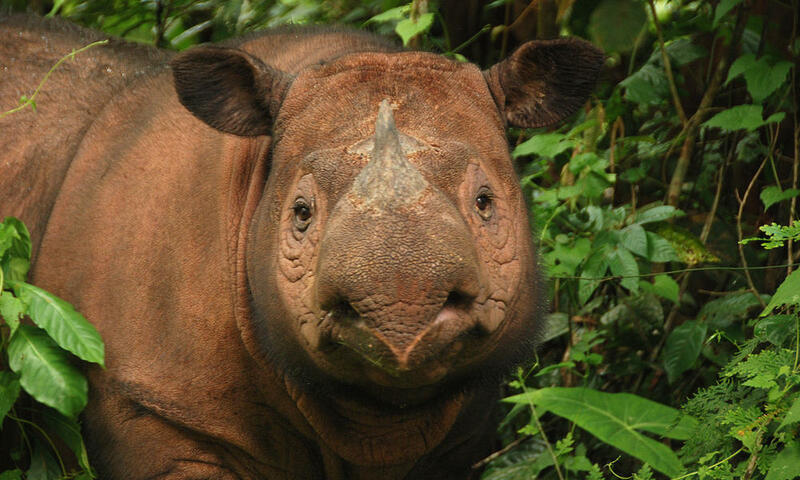 So lets not forget the other fuzzy orange animal in Indonesia, the Sumatran rhino.